As the weather cools in the continental United States, it is time to start thinking about planning a warm weather vacation. Punta Cana, Dominican Republic is the perfect location to satisfy your desire for a tropical climate, beautiful landscape, friendly people and relaxation. The golden beaches and lush island flora are ready to welcome you to paradise. The Dominican Republic has had the reputation to be an affordable travel destination, and that is still the case. But popping up all over this charming island are chic new boutique hotels that are capitalizing on what Columbus discovered when he landed here in 1492, that this island is truly remarkable. Full of historic landmarks, adventurous activities and poolside lounge chairs that call to you, this country is well aware of how to entertain its many guests. Enjoying time outside is a must when traveling to Punta Cana. The weather is ideal and the beaches help to ease the tensions from your body while the sounds of waves crashing relax your soul. After a bit of downtime, you might be on the hunt for some excitement. The water sports offered are expansive and can provide hours of entertainment. If you are looking for something more structured, book an excursion. Try out a 4-wheeler on the beach, horseback riding at sunset or snorkeling at the many splendid dive locations around the Dominican. Take advantage of the excellent outdoor activities in Punta Cana. The nightlife in Punta Cana is full of energy. The sun goes down and the city comes alive. Many restaurants offer elegant settings where you can enjoy the surf, some fabulous food and an elegant atmosphere. Head out to some of the local bars and nightclubs and enjoy a few cocktails along with thrilling music and dancing. Try your luck in the Dominican casinos that are scattered throughout the area, although they are open day and night, the evening scene is way more stimulating. How you decide to spend your evening is up to you, but Punta Cana offers up a very dramatic and provocative nightlife. 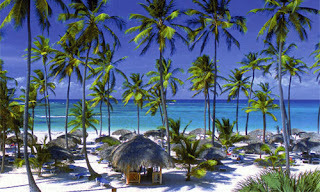 Upon arrival in Punta Cana you are inundated with fabulous hotels and resorts. At WhatAHotel! we provide the Best Hotels in Punta Cana and ensure that your stay is elegant and easy. 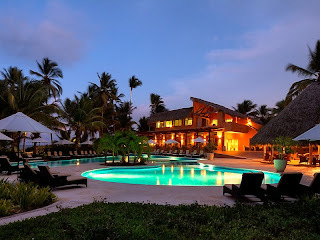 Sivory Punta Cana is a boutique hotel that has private beaches, gourmet food and wine, and exquisite amenities. This hotel is tucked away, almost hidden, at the end of a stretch of Punta Cana shoreline. This intimate resort is definitely luxurious. The holistic spa will help to rest, relax and rejuvenate the hotel guests, while the posh restaurants serve up flavorful meals in an opulent setting. Sivory has absolutely everything to ensure your stay will be delightful and dramatic. 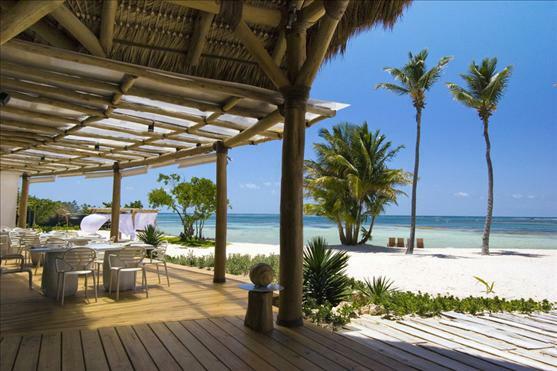 Another one of our appealing hotel options is Tortuga Bay. This resort presents villas, designed by Oscar de la Renta, which will enchant its guests with a blend of simplicity and splendor. Receive star status when you get whisked away from the airport by the hotel's car service and delivered to this chic and elite hotel. Enter the resort and immerse yourself in privacy and exclusivity. Enjoy the amenities found at Tortuga or simply lose yourself in the quiet calm of your personal villa. Tortuga Bay will make sure that you feel like a VIP before, during and after your vacation. When heading to Punta Cana, WhatAHotel! will make sure your accommodations are as perfect as the destination itself. The Dominican Republic is considered a fantastic vacation destination. The amazing people welcome you to their beautiful island and promise an unforgettable trip. Shopping, dining, and adventure await you on this pristine Caribbean island. Visit Punta Cana and discover true travel excellence.